I’ve always been fascinated by airships, I’m not entirely sure why. Perhaps it’s that scene from Indiana Jones and The Last Crusade where Indianna travels on a Hindenberg that has stuck with me. So when I was casually musing about what to write about this week and took a quick look at historical events that happened on the 6th July as I often do. I was struck by the fact that the first Airship to cross the Atlantic arrived in the United States on the 6th July 1919. My interest didn’t stop there and went further by doing a quick search across our collections here at the Trust using our collection management system. Having a quick browse through the various airship related objects in the collection, which goes to prove we have so much variety in our collections, I noticed on object in particular which I have added below. 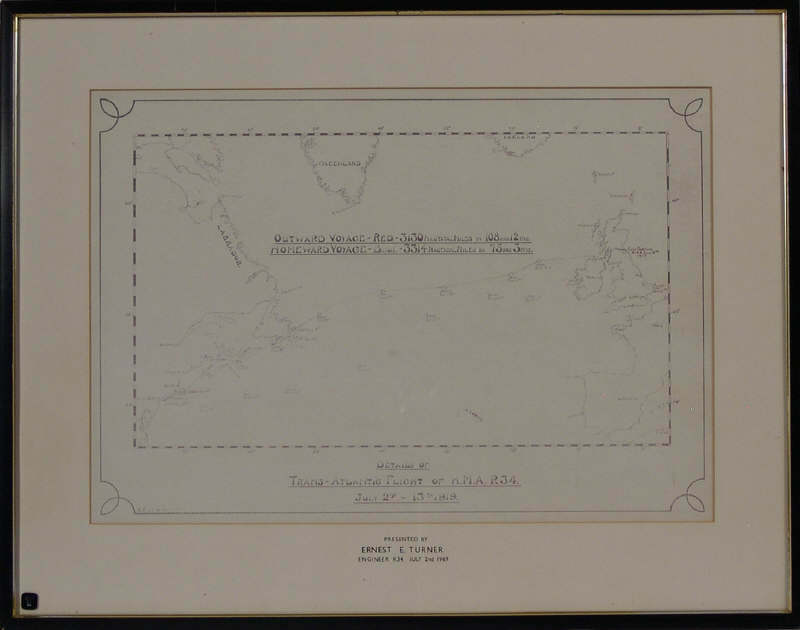 It is from our collection at Bateman’s and shows the exact route the British R34 took when making it’s first return trip across the Atlantic in 1919. The R34 would leave the U.K on the 2nd July 1919 and arrive in the U.S.A on 6th July 1919 after a total flight time of 108 hours. The return journey to Norfolk would take from the 10th through to the 13th July and take 75 hours. The airship was not intended for long distance flight and so hammocks were placed in the keel walkway and a metal plates was welded to an engine exhaust pipe to cook hot food. Another interesting fact about the flight of the R34 is that as the ground crew had no experience of handling large rigid airships, Major EM pritchard jumped by parachute and so became the first person to reach America soil by air from Europe. R34's less than glamorous fate, wrecked by bad weather! The R34 would eventually be written off in January 1921 and it’s story would end there. I think it’s amazing the things you can find in our collections!